NATURAL OASIS DAY SPA, White Rock is holding an event on 30th April on completing our 8 yrs in business. Natural Oasis is a Day Spa offering one-on-one services in tranquil surroundings. From the moment you enter until the moment you leave you can count on our undivided attention to your needs. ​We believe beauty begins with healthy skin. As well, we practice hospital standards of hygiene in all areas of our spa to safeguard you against infection and help ensure a clean, comfortable and pleasant experience. Some of our most popular services combined at attractive pricing. Our skin care specialists can help you make the perfect selection. Like painting, applying make-up is a study in compostion, a way of creating a certain impact, a manner of expression. The face becomes your canvas as you put on foundation, choose your palette and devise different effects by shadowing, contouring and adding color. Beauty begins with healthy skin. At Natural Oasis Day Spa you will find knowledgeable, supportive staff and we use only the finest Éminence products. 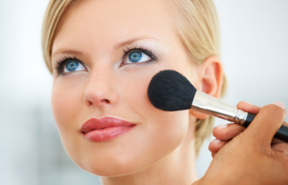 Our highly trained estheticians will help you create and maintain the look you want. Prices quoted below are minimums. Additional work may require a higher fee. Please ask your esthetician for an estimate. 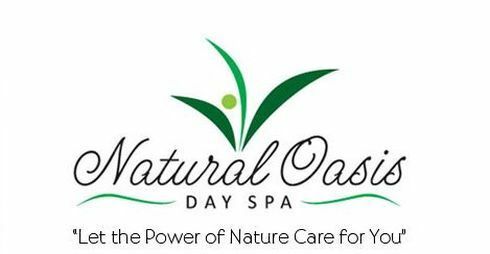 A manicure or pedicure at Natural Oasis Day Spa means more than just a cosmetic touch-up. Our estheticians care for your cuticles, your skin, your nails and your senses. We use Beauty Through Balance products for our wraps. 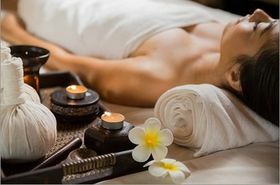 Experience full head to toe relaxation at Natural oasis day spa with our variety of massages. You may even fall asleep!